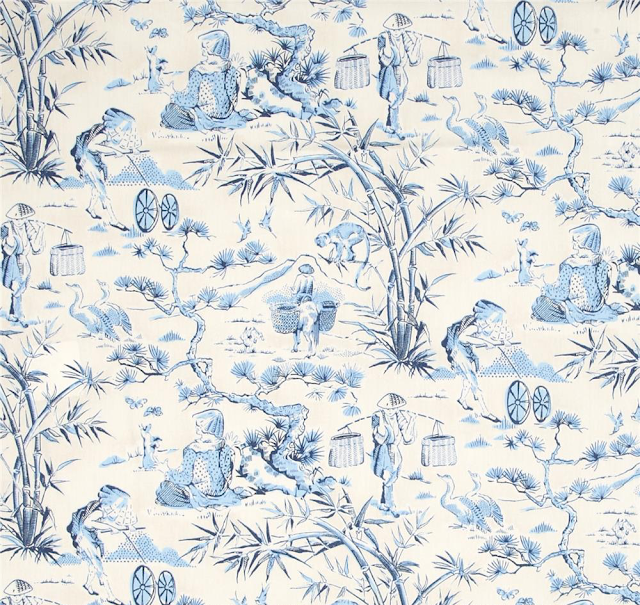 Fabric house Waverly is once again bringing its Chinoiserie A-game. 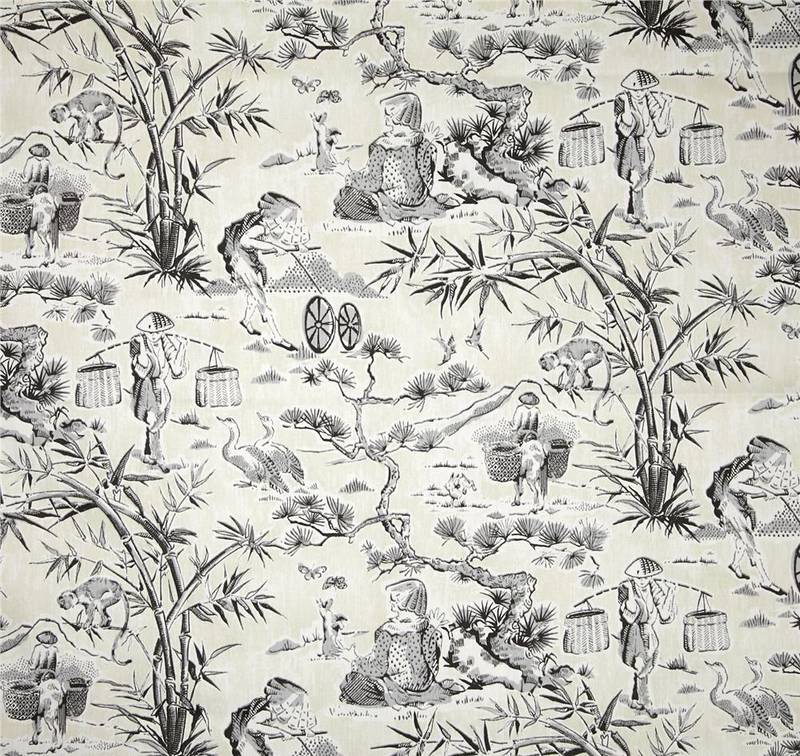 I recently discovered this fabric - Haiku Toile Chintz Noir - and it's really, really good. And it's around $17-$20 a yard. That's phenomenal. Now, I'm not sure it's up to the task of upholstery (sadly) but you are looking at ridiculous curtains or pillows or a bedskirt. I love the light, airy feel of this toile. Nothing crazy and heavy...just delicate monotone shades that depict lovely little scenes. I ran a Google search for you so you can shop it at various places and in some additional colorways - click here to see the options. Do tell if you use it.